Fist-off nails must be short, hands and toes you don’t wanna be the girl scratching everybody up or the girl who looses her mani in the mat. I personally frown upon the first timer girls who come in with their long nails to try the class for the first time, Hate it!!! all class long I’m thinking to myself: I dont wanna be the girl who rippes the new girls nail out on her first day!! or I dont wanna be the girl who gets stabbed in the eye by the new girl’s manicure. 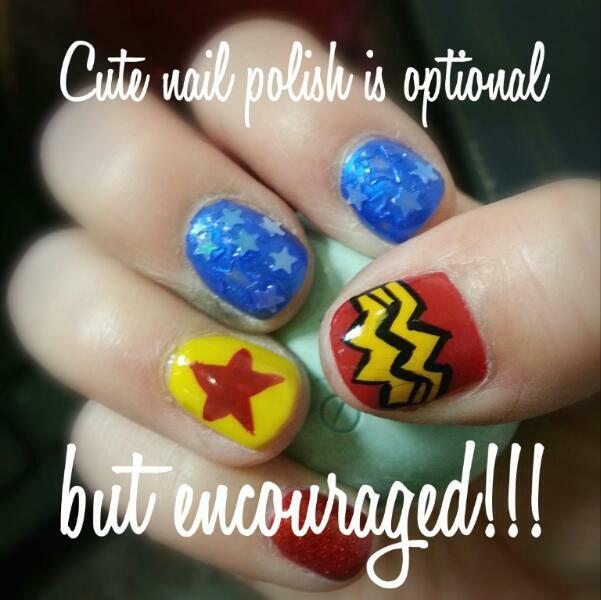 The cute nail polish is optional but encouraged :-). It’s nice for a change when you get to wrestle with a girl and get a glance of a cute nail polish, I love it, I have this huge collection of nail polish and it’s always nice to have someone notice it, for time to time Alexa Grasso from Invicta visits us to train at Entram and you can’t not notice her cute nails. Scrub it off!! file and scrub those feet well you don’t wanna flake in the mat or the guys to realize that their feet are more well cared that yours. you can give them a good scrub in the shower with a natural body or foot scrub, or file them with a foot callus file, I prefer file every weekend or so since during the week my shower are always short and in a hurry. Foot lotion or vaseline, hydrate those puppies. Theres a huge variety of foot lotions my favorites are the minty ones, there’s really no need to spend big bucks in those; During winter time vaseline does a great trick as well, I have my homemade vaseline which is made with menthol, various herbs and oils for extra moisture and foot repair (like a DIY foot salve), these are actually very easy to make I do one every couple of months and it lasts a long time, it’s also a cheaper option. Antifungal cream now and then also doesnt hurt. This is a no brainer if you feel the itch, don’t scratch put some ointment on it!!! This is a must, but all fighter’s have their own ways of pampering their footsie’s.